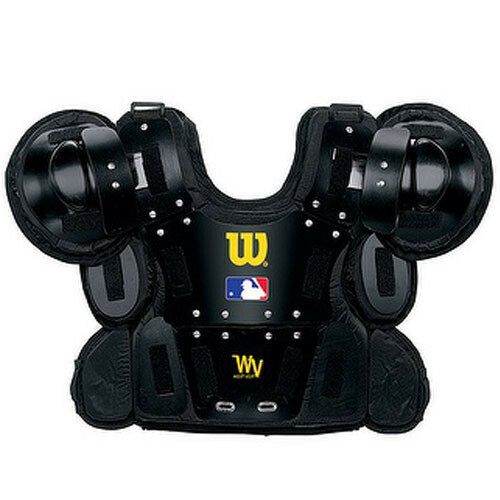 The Wilson MLB Pro Gold Umpire chest protector provides the ultimate in umpire protection. This Wilson umpire chest protector uses open cell foam for comfort and performance and is nylon lined. Wilson's Professional Gold baseball chest protector is sized to fit your body with extra side padding for additional comfort and protection.